You don’t need to plan every second of your adventure, but what you do need is to have some idea of the nature of your trip, what you are likely to get up to, and therefore what you might need to bring. If you are likely to be camping out a lot, or spending large amounts of time outdoors, then you will need a lot of gear such as tents, sleeping gear, more layers of clothes, and other equipment. If you are staying in hotels or hostels, you will likely need less. You need to consider the climate of your trip, and how the seasons might change as time passes, or as you move from one place to another. This will determine how much clothing you need, and the type of clothing that you should take. You should also take into account how often you are likely to be carrying your bag around; if you are dumping it at the hostel and moving it only to take a train somewhere else then you can afford a little more weight, within reason. If you are likely to be carrying it around a lot, then you should take even more care to pack light. Try to envision what you might need. Think about the types of situations you are likely to be in, and what you will need. If you are going to the coast for example, you might need to take a beach towel, goggles, swim gear and so on. You might have to leave your snorkel and surf gear at home in the interest of packing light; you can rent or buy gear when you get to places. Once you have considered the nature of your trip, you should begin by gathering all of the essentials. 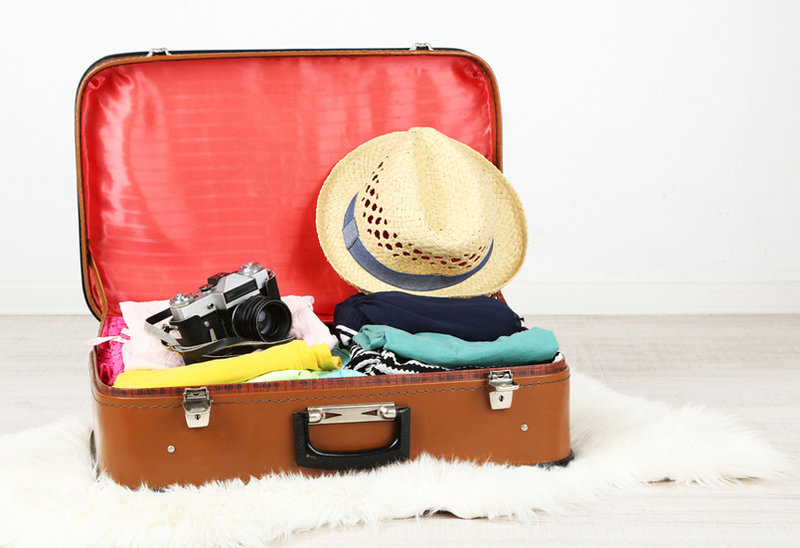 Leave any non-essential extras to one side for a moment, and pack only what you absolutely have to pack. The list could include sleeping gear, the bear minimum of necessary clothes, protection against the elements, a small bag of toiletries, a towel, and your phone, wallet and passport, as well as camping gear if it is needed. Check and double check that you have everything you need to survive, and to get around. Pack it all in your bag, and then test the weight on your shoulders. Take a walk around, and be honest with yourself about how much more you can afford to carry. You should be able to walk around pretty much indefinitely with the backpack on, without causing yourself strain. If you can’t then you will have to try to reduce the weight even further. If you can then you may be able to afford some luxury items. People have their own way to travel, and their own items that they feel they have to travel with. It is not recommended to bring every sentimental item you own with you, and these sorts of item are often better left in a draw at home, both for the sake of packing light, and because they could get lost. This is true of most valuables and electronics, which you may not want to risk getting lost or stolen in another country. Having said that it is nice to afford yourself some treat items, even when the aim is to pack as light as possible. If you are a photographer then you may want to take a camera, though a light and inexpensive model is recommended. If you read, then a book might be a good idea, and this can be traded in for other books at hostels around the world. For the writer and keeper of diaries, a writing pad may be what tickles your fancy, and may be worth the extra weight. For the digital nomad a small laptop or tablet might be crucial for traveling. It is all a matter of personal preference, and it is up to you to find the balance between packing light, and taking extras that will keep you happy on a rainy day.